A squatter's right to take over real estate – aka adverse possession – exists in almost every state. A squatter is someone who moves onto your property and takes up residence without your knowledge or approval. If he stays there long enough without discovery and removal – the exact amount of time varies, depending on the locality – the property and title to it become his. And he does not have to compensate you in any way. You simply lose your property. No, it doesn't happen often, but when it does, it goes down something like this. Say you buy a 50-acre wooded unimproved parcel of land as an investment. You also think that you may convert it into a retirement or vacation home property sometime in the future, but that's years away. It isn't in your home state, and you go years without visiting the property. You ask locals to check it now and then, but you don't personally follow up or visit. It's pretty remote. Seven years later an official document arrives in the mail telling you that someone is taking possession of your land. Apparently, this person has been living on it, unbeknownst to you; and in that particular state, after a squatter has done that for seven years, she can take adverse possession action. You call an attorney, and after some research, you find that you can do – nothing. You just lost your investment and your retirement home. 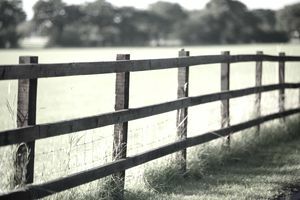 While the exact language varies, in most states, there are five basic requirements squatters must satisfy to use adverse possession successfully. They must take actual exclusive possession of the land and its use. It can be residential or for a business. The use of the land must be open and obvious, meaning they can be seen using the property, not hiding in a grove of trees in one corner. They can't share the land with anyone else – what's known as "exclusive possession and use." They can't be there with the owner's permission in any way. The owner would have no knowledge of their use of the land and would oppose it if known. Their possession of the property must be continuous for the statutory period. In our example, this means that they used and occupied the property every day throughout the seven-year period. Owners who check their land regularly can put a kink in squatters' plans. If you cannot or do not want to visit the property at least annually, pay someone to go out and take a lot of photos with a GPS camera every year and submit you a written report that nobody was found on the property. It could be a real estate agent, appraiser, surveyor, or just about anyone willing to do it. If you or your designated inspectors find uninvited guests in residence, check with the local authorities and an attorney about your rights and take the action required to evict them. Even if they return, you've at least gained some time in preventing their adverse possession. Remember, their occupation of the property must be continuous for the designated number of years. Once that is interrupted, the statutory time period starts all over again. Is a Survey Always Necessary for a Real Estate Closing?